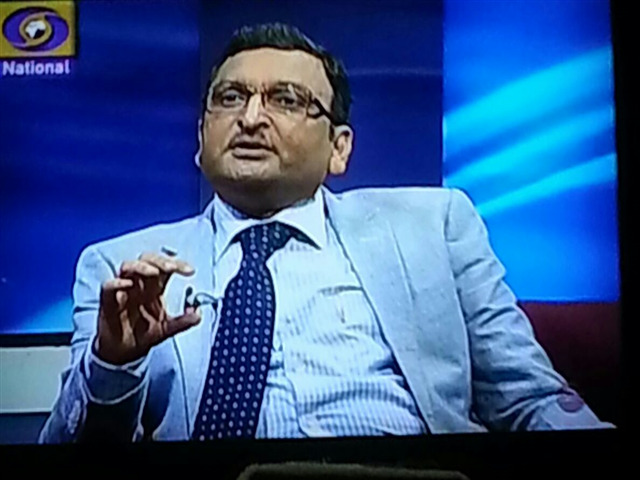 Clean and Green Technologies, Energy Saving, Energy Conservation Measures Strengthen CLEAN INDIA Mission - Mr. Mukesh Singhal, MD URS Certification Expressed Views at Delhi Doordarshan - DD National TV on Ist Oct, 2014. In the Interview by DD National Channel he Emphasised the Importance of Energy Saving in Industries and he further Explained the Associated Monetary & Non - Monetary Benefits. He Highlighted the Role of ISO 50001, Energy Management System (EnMS) in Managing and Reducing Energy Consumption. He also Spoke About the Roles of BEE and PAT Schemes.